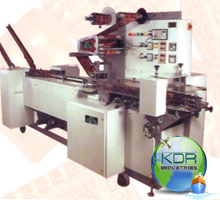 We offer Biscuit Packing Machine that is designed in line with international quality standards. This machine is ideal for packing rectangular, square, round, cream biscuits. 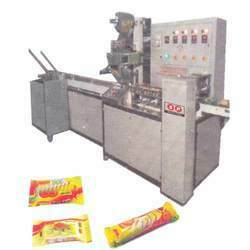 Manually, biscuits are fed into the conveyor and nylon lugs carry biscuits through the adjustable folding box along with biscuits paper for center seal, by the pair of hot sealing rollers.